The last week has been an emotional roller coaster for me as I watched my friends and family suffer through the Superstorm #Sandy. I am in no way comparing my own anxieties to those, who actually weathered this catastrophic cyclonic event. 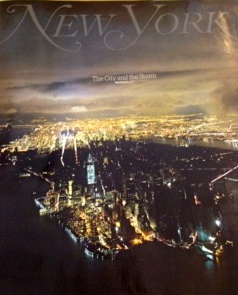 There were many news stories and blog posts that moved me to tears and prayers as I felt so helpless watching and reading the raw accounts of Sandy battering away at the canyons of New York, the beach communities of both New York and New Jersey leaving damage, debris and death in its wake. Many of the areas pounded were places where I or my family have a history. It makes me so sad to know that the young children affected by Sandy will never know the beach communities of their parents and their grandparents. Some are forever changed! The ravages of Sandy have changed the face of the East Coast forever….although it will never be the same…I know it will still be good! One of the saddest things, for me, is to think how much this storm of storms has effected the children of the East coast. How do you explain the anger of Mother Nature to young children? As unrealistic as this sounds, I would like to hear from families affected by Sandy to learn how their children are doing….especially the young ones 3 – 6 year olds. I have a young preschool age granddaughter, who has been through power failures due to snow storms and summer storms…none fortunately have been the magnitude of “Superstorm” Sandy. As a family, we have had to retreat to our basement for tornado warnings but thankfully, that has always been short-lived and without a touchdown. For the most part, we have made light of these weather events and explained the noise and power failures away, as a result of the thunder and lightening, which is when the dark rain clouds are fighting with each other and when they are so full of water the clouds explode pouring down rain. 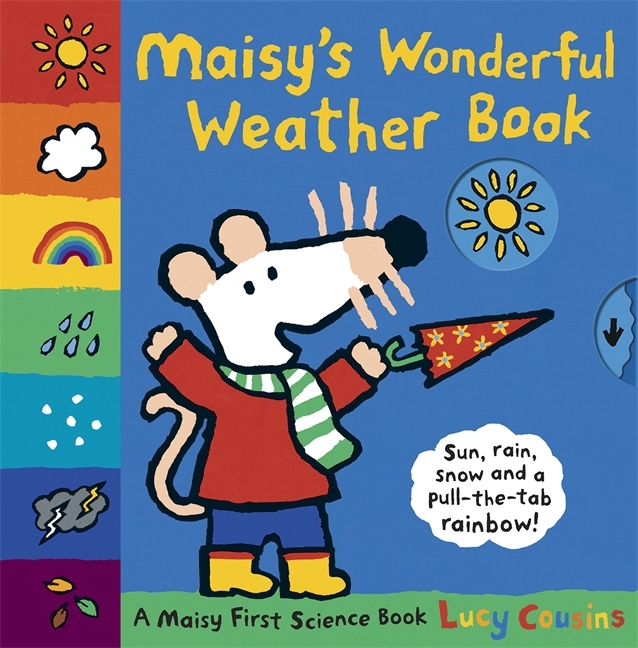 Once, while in coastal Rhode Island during a rainy, windy, Nor’easter, I purchased a book about a mouse named Maisy…dear Maisy deals with different weather conditions. It is a very simple yet effective piece of children’s literature. It did just what I intended it to do…it made weather unpredictably fun…jumping in puddles in rain, flying kites in wind, and going to the beach in the sun. Change in weather in Maisy’s world merely means changes in the way we all decide what activities we will have fun doing that day. The events of the past week and the fact that my granddaughter is now 4years old makes explaining Sandy and what has happened to those in her path somewhat more complicated than Maisy’s weather reports. Since fortunately we, are not directly effected by Sandy, I am using this catastrophic storm and her aftermath as a learning experience within the framework of what a 4year old needs to know when they ask complicated questions that require only simple answers. One of my blogger friend’s in particular has chronicled her family’s evacuation experience. It has been a life changing event for her but an adventure for her kids. I am grateful to her for her frequent updates and her ability to express what was going on in her head while she was busy protecting her family of three children with the help of her husband from the fears and anxieties associated with evacuating from your own home where you are supposed to always be safe from harm. I used her story to tell a version of it to my granddaughter…it has helped her understand somewhat, the storm known as Sandy. 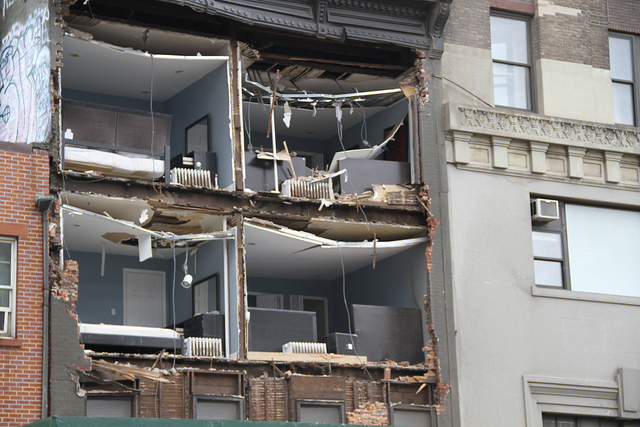 Joey, Choe and Zack had to move to a hotel from their apartment located in a flood zone along NYC’s East River …from high up above the street in the hotel, they were able to see the rain and wind outside, remaining dry, warm and cozy inside. While they were safely sleeping, the East River was busy overflowing its banks turning the FDR drive into a rushing river…trapping some people in cars and SUVs. As the three siblings cuddled together hoping for the sun to come out tomorrow, little did they realize, the angry East River was encroaching upon their apartment building which would cause the power to eventually fail. The water would invade their building to make them homeless for almost a week. As expected, the sun did come out in the morning and the children and their parents were able to return home…but when they got there the lights were off and the elevators were not running…there were also sandbags at the door to their lobby which had some water inside…they knew they were okay because mommy and daddy had candles and flashlights… they were able to find their toys and even their Halloween costumes, when then finally climbed all the stairs and reached their apartment. So all was well in the children’s eyes and they “trick or treated” safely around their own apartment, when they got to their parents room they got candy along with lots of hugs. But because the power was still off their home was no longer warm and cozy and the food was not either so mom and dad told, Joey, Chloe and Zack that they were going on vacation… they packed up the SUV and headed out of Manhattan over the George Washington Bridge and through New Jersey to Philadelphia…another big city where the power was working and things were pretty much normal. This time mom and dad decided to stay at a special hotel…it was different from other hotels that they had visited, because it had a kitchen like home and it also had a washing machines down the hall…Joey and Chloe were so happy…they had their own bed and Zack had his port-a-crib. They told stories and made plans to visit special places in a new city, Philadelphia. One of the stops on the agenda was the Children’s Museum where they could touch almost everything, afterwards they enjoyed a fun lunch…Philly has some good food! Mom and Dad loved the Philly Cheesesteak sandwiches while Joey and Chloe wolfed down hot dogs and well, baby Zack ate fries from everyone’s plate. Just like always, Mom took lots of pictures, and at night they all told stories about the day’s adventures. The older kids agreed, this was the best vacation ever…mission accomplished by two very tired, emotionally drained parents, who, although very grateful that their home was spared the utter devastation that some New Yorkers experienced, were both very worried about when it would be safe to return home and just what they would find upon their arrival. The adult side of the story is much more complicated. You see the medical centers near their home had both been evacuated, Bellevue and New York University Langone Medical Center were now essentially closed with no date projected for reopening. The news both national and local was not good…what was it going to be like going “home” and when would they be able to return there…the power was still off and it was almost a week since the storm struck. After a almost a week in Philly…the restlessness was palpable to return to their beloved NYC…and then the news came….POWER IS BACK ON…. Lets get going! Packed up they were all ready to return to Manhattan…the parents filled with trepidation…but full of determination to get back to a new “normal” if that is what it meant…and to help those who were not as fortunate when it came to weathering Sandy. Joey and Chloe and Zak were ecstatic to see their home…high up over the East River and the FDR…it looked mostly the same to them…after all they had just come home from vacation…right… and mom and dad were with them along with their cat…who had never actually gone on vacation with them before! That night they all went to bed in mom and dad’s room and looked out at the night sky and the lights…the Empire State building was RED WHITE and BLUE on top…it looked like a big Flag. WOW… it was good to be home! I have to say that telling my little one this Sandy adventure with adult worries left out…helped me, a native New Yorker deal with yet another tragedy to befall my beloved City, one more time that I was only going to be able to help from afar. New York was home to four generations of my family…they were among those, who helped to build NYC into the city that it is today. I want to keep New York’s history alive and vibrant for my grandchild, so that she knows that her roots are solidly placed and even storms like Sandy can never change that for her. 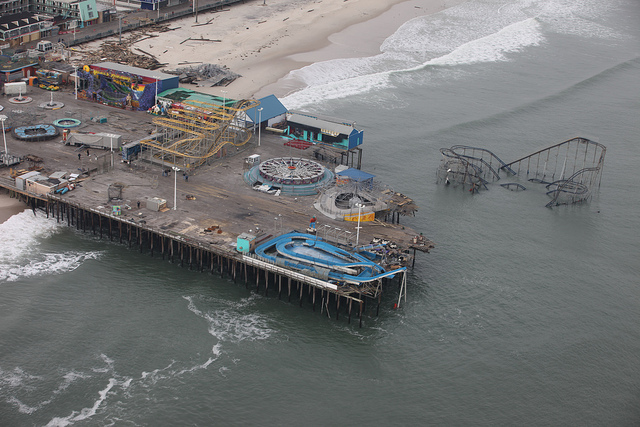 This blog post was inspired my MommasGoneCity, the story I told my granddaughter was driven by Jessica’s story surrounding the events of Hurricane Sandy and how they directly affected her family…I have used “child story teller license” to change around the actual facts and names. I want to personally thank Jessica and her blog on Mommas Gone City for sharing the her family’s travails related to “Superstorm” Sandy. Just as she kept her family in focus the entire time, I was able to teach my little grandchild about “storms” and make them childhood events that, although scary when they are occurring, can be a source of adventure in their childlike perspective. As a young nurse, I worked at NYU Langone Hospital… it holds a special place in my personal and professional life as I met my husband there and my beloved grandmother passed away there after receiving the best care that was available at the time. 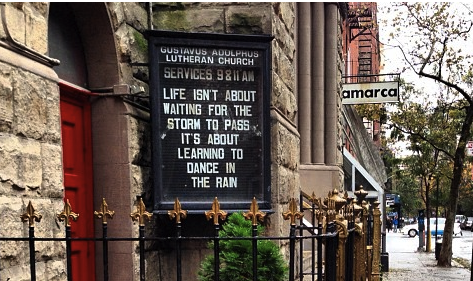 As a graduate of NYU College of Nursing I am proud of the Dean’s statement of the College’s response to Sandy! via Home | NYU College of Nursing. I will be following certain mom bloggers and their stories as they try to get back to life as it is and will be in the shadow of Sandy. From time to time, I will post my thoughts to ease my own angst for these moms by sharing with all of you. This entry was posted in Family, Grandmas & Grandpas, Moms & Dads and tagged #sandy, Children and trauma, MommasGoneCity, New York City, Superstorm Sandy by llpitlwp. Bookmark the permalink.